After 4 jumps and coming across what can only be described as what at first seemed to be an ordinary system, I decided that after surveying all of it, that I may as well do a little more prospecting for this elusive Polonium. I wondered whether the fact that the main star was a G type star would make any difference. 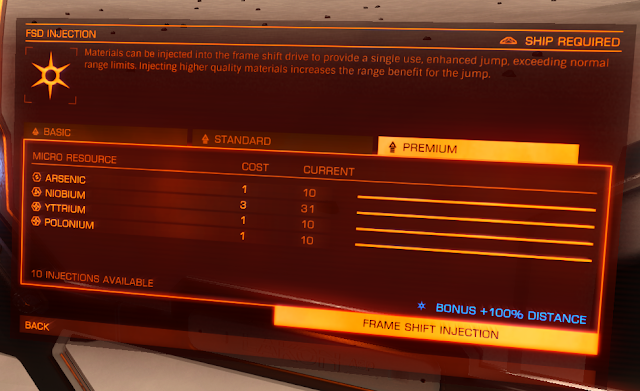 All of the bodies that orbited this star were "High Metallic Content" with over 30% of metal, so it had to be worth a look. The first body, which was closest to the system was tough work as the surface was very lumpy, with many hills, potholes, and a conglomeration of speed bumps and small ridges. 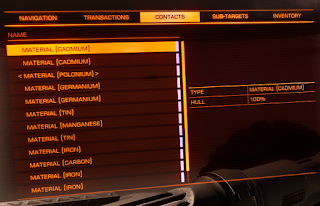 I persevered a little bit, but gave up when I found some Molybdenum in an Outcrop. To this day, I have never found both Polonium and Molybdenum on the same planet, so time to move on. The second body appeared to be a good candidate as after dismissing my ship, and to my great surprise, there were lots of signals on the wave scanner, including what could have been a Metallic Meteorite. As usual I drove around removing all of those signals to try uncover the one I was after. Often you can get signals overlaying others which can make looking for one kind of signal more difficult. 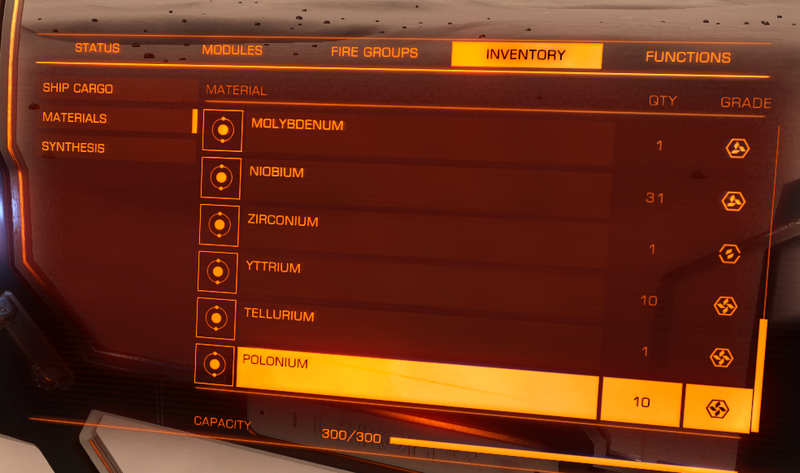 After clearing the area, I found what I was looking for, and hey presto... Polonium! This body really does have a lot of useful materials, and perhaps most diverse range so far. Hare are just a few. Some you would expect, yes. 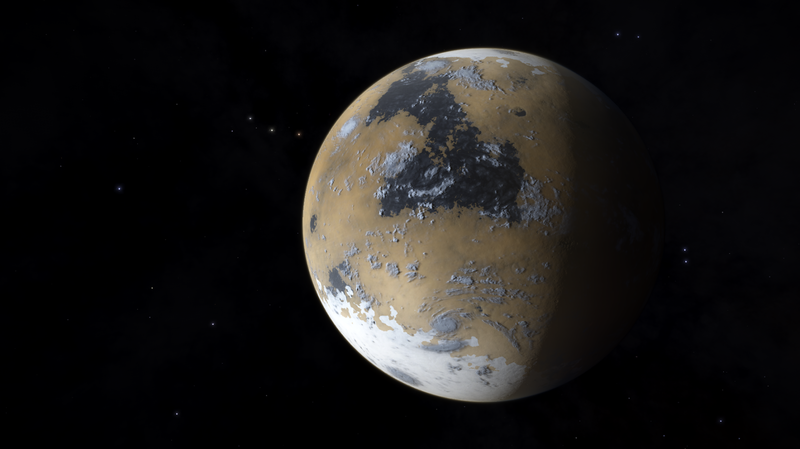 So a most useful planet to drive around. 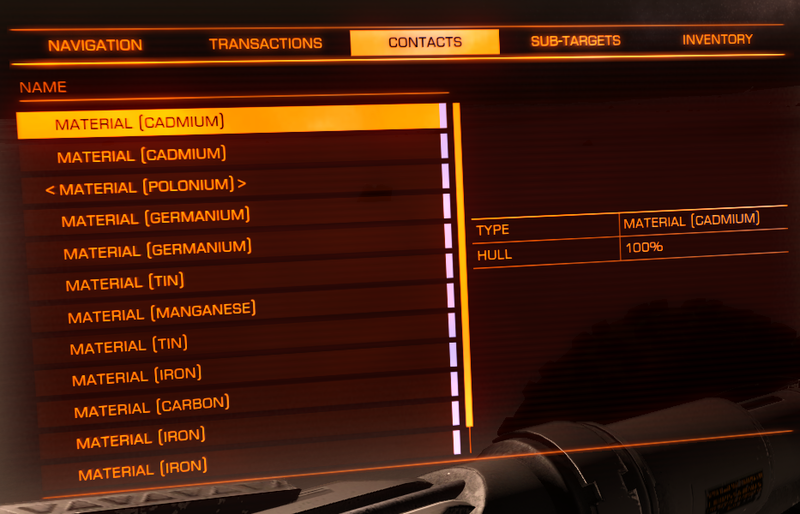 As you can see from the list above I have enough Yttrium and Polonium for 10 of the 100% boosted jumps. 10 is a good number in case I want to make the leap into the dark, but more importantly, get back again. As I mentioned earlier, this seemed to be an ordinary system, but check these out below. 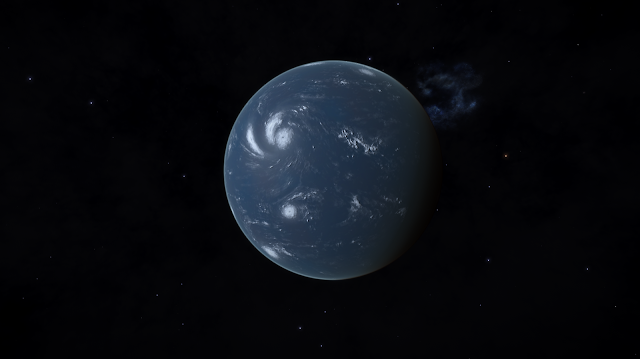 Kinda normal in their own right but all together in the same system, and Polonium to boot, this is kinda special. These planetary bodies were orbiting a secondary star. 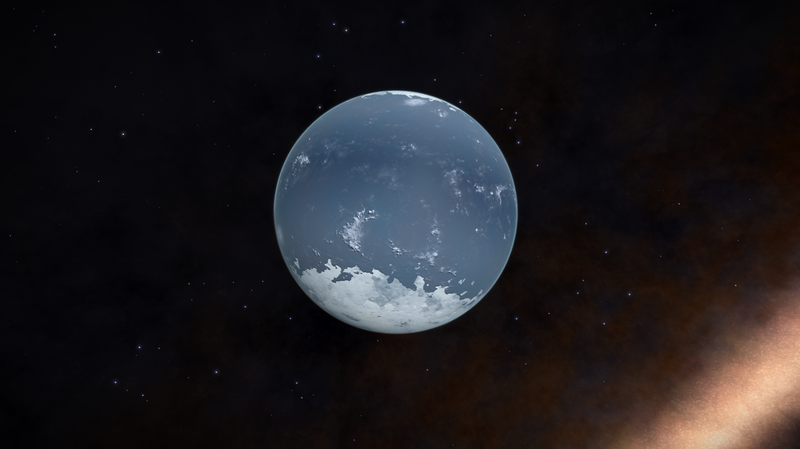 Many Water worlds and most of them different in some way. 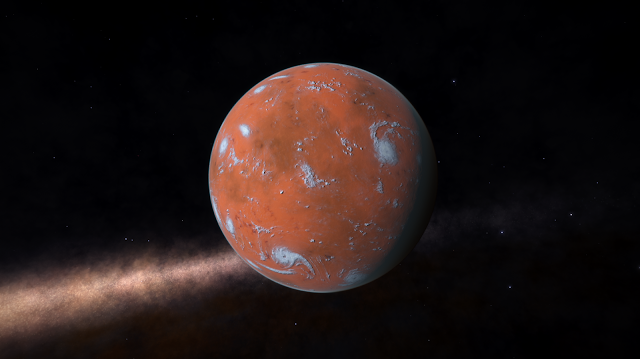 This is a planet I would love to land on and explore. 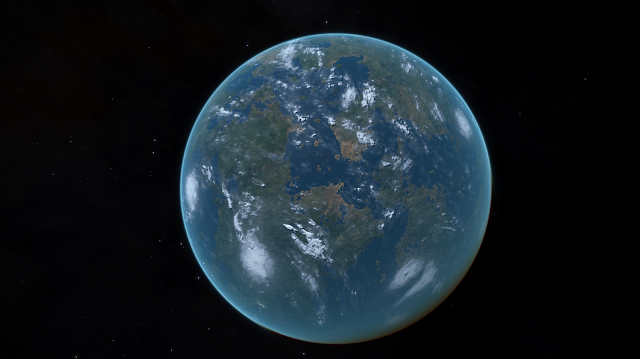 First Earth like world on this trip. 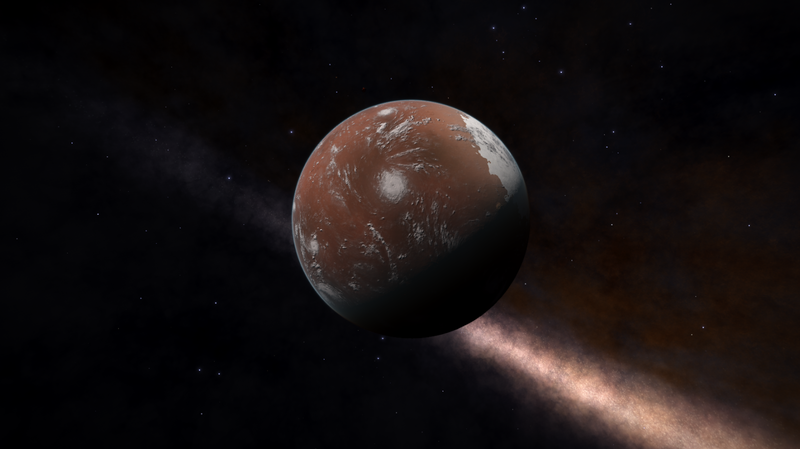 A Mars type world with an atmosphere. Come hither to and wander our glorious Galaxy. Day 30 - has it really been that long ?